Deep in the heart of the Brecon Beacons, bikers from all over the world travel year in, year out to the Touratech Travel Event to satisfy their adventure bug. 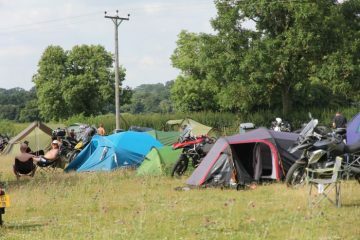 This weekend has it all, offering camping facilities, workshops and talks from experts and the chance to enjoy good grub and share stories with fellow bikers. 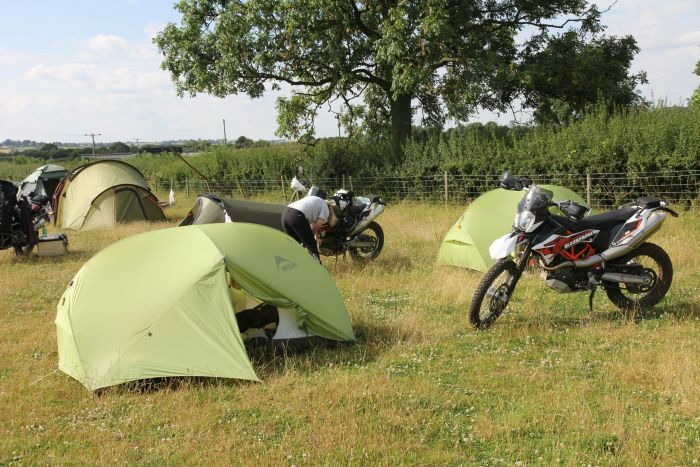 Head down this year for advice on helmets, travelling and rough camping, but don’t forget to book onto one of the off-road ride outs that are on offer. What more can we say? Well… it’s absolutely free to attend. When ‘n’ where: Taking place from 11 – 13 May, at Rheola House & Grounds, Resolven, Neath, South Wales, SA11 4DT. How: The event is free to attend, along with free camping and amenities. Register for your place on the Touratech website. Returning for a third successive year, MACH 3 is back for another five days with brand new activities. The event is jam-packed with guest speakers, live music, ride outs, and Nick Sanders’ ‘Smaller than ever! 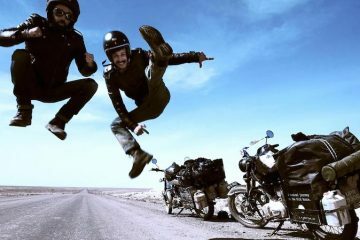 Adventure Quest.’ New this year will be Moped Mayhem, a crazy madcap moped endurance race, so cherry pick your friends to create the ultimate dream team and compete against others. Put your feet up after that, as days are always finished off with local craft beers, ciders and the promise of some good, proper food. When ‘n’ where: 24-28 May, on a rugby pitch, Cae Hafren, Llanidloes, Powys, SY18 6LQ. How: Festival and camping tickets are available on The Motorbike Festival website, where you’ll find two types of tickets: one-day, which is £26, or the ‘full shebang’, which is £68. In the heart of the North Pennines, lost in the hills of Alston, the five-day Haggs All Terrain Adventure is the perfect place for bikers seeking some training and a good craic. A team of professional instructors will be on hand to sharpen up your off-road, navigation and orienteering skills to guarantee your next adventure is an epic one. There are fixed routes available in the days, and there’s a chance to wind down in the evenings with live music, a bonfire and most importantly, great nosh. When ‘n’ where: 1 – 4 June, at Haggs Bank Bunkhouse, Nentsberry, Alston, CA9 3LH. How: Tickets cost £129 for a space in the bunkhouse or £99 for a camping spot. Both prices include your food for the weekend, all activities and entertainment, along with a free t-shirt! Visit the Haggs website for tickets. 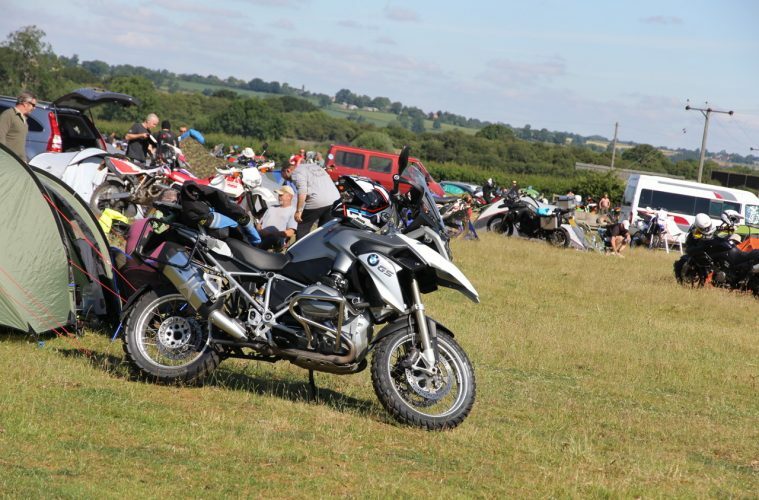 Returning for the 31st year, the Farmyard Party is a motorcycle rally based within the sweeping landscape of Duncombe Park in Helmsley. This year, the event will be welcoming over thirty bands across the three days on the four main stages. Each stage offers their very own beer tent, while you’ll also find a real ale and party marquee where you’re sure to find a host of other bikers and their adventurous tales. Camping is free, and be sure not to miss one of the biggest comedy shows on the Saturday, which promises to have over 2,500 people watching at any one time. When ‘n’ where: 15-17 June, at the Farmyard Party, Duncombe Park Estate, Helmsley, North Yorkshire, YO62 5EB. How: Pre-booked tickets cost £37 and the price includes camping. Get then from the Map Events website. Tickets on the gate will cost £50. 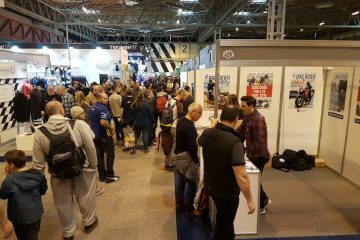 If you’ve been to one of our Midlands Rally’s before, you’ll know what a stonkingly good time is had by all and for 2018 we are upping the game. 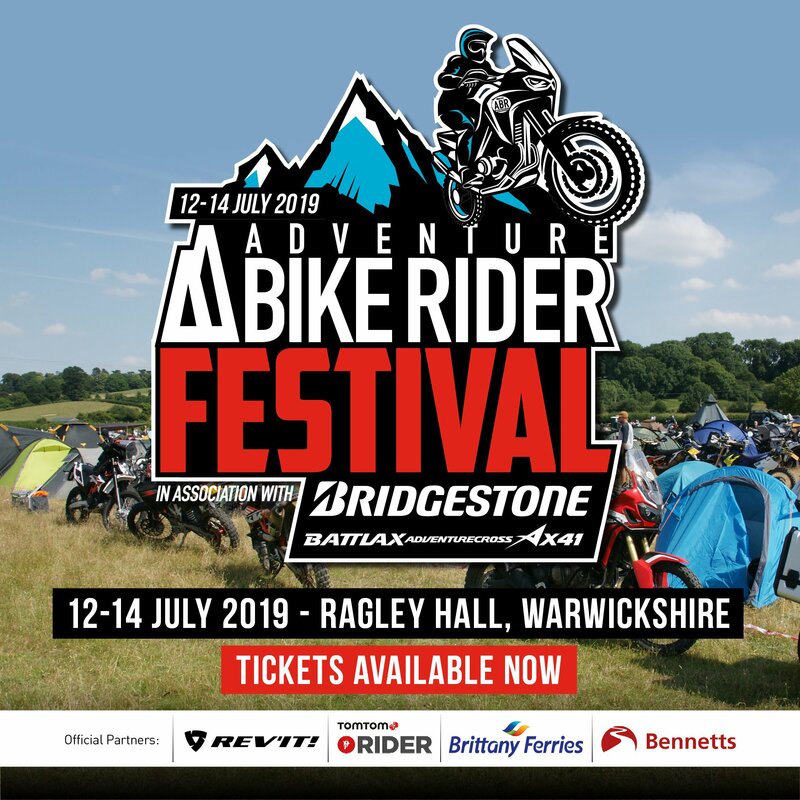 This year, in association with the new Bridgestone Battlax A41 tyres, we’re making the event bigger and better than ever. 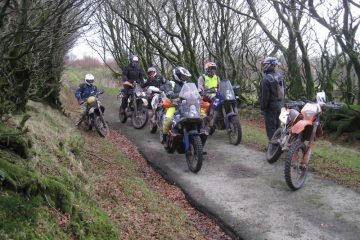 We have more manufacturers with test bikes in tow for your try, ex-Dakar rider Mick Exstance is there with his off-road school, there are green lane ride outs, road ride outs, live music in the evening, the ABR Bar, street food trucks, pub quizzes, the onsite off-road track and more. Please note that camper van space is now sold out due to heavy demand and space restrictions. When ‘n’ where: The festival kicks off at 1pm on Friday 6 July and comes to an end at 4pm on Sunday 8 July. It takes place just off junction 11 on the M40 at Seals Farm, Chacombe, Banbury, OX17 2JR. How: Weekend tickets come with camping and cost just £25, while day passes cost £15. Both are available from the ABR website. Tickets must be pre-booked as there are none available on the gate.